Opening Ceremonies: President Scott Kimball called the meeting to order. Invocation by Andrea Mason and we said the Pledge of Allegiance. 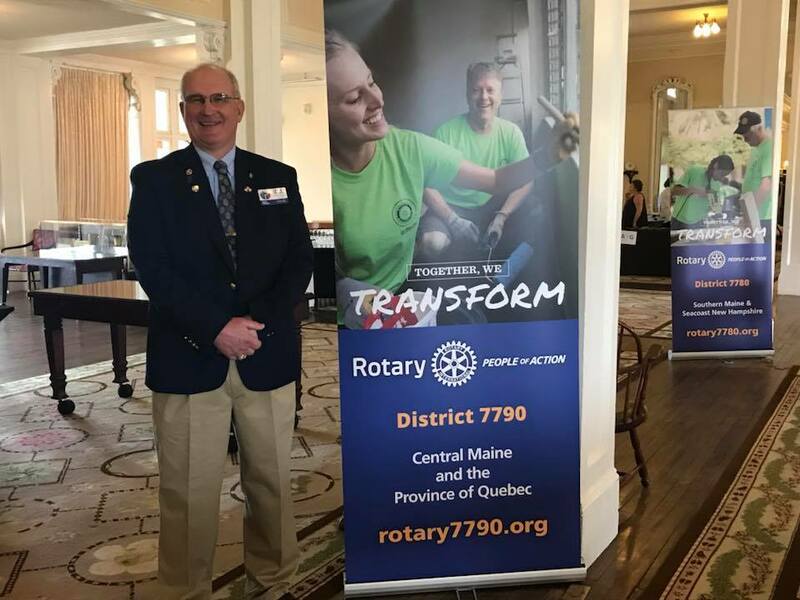 Rotary Business: Clyde spoke of Community service with the high school helmet fitting, Domenic Efter gave brief results of auction over $12,000 each for partner and club. Ashley talked about volunteers for the newsletter, Cindy spoke of the Pancake Breakfast sponsorships from Darlings and the commitment from Camden National and Dead River. Program/Speaker: Jane, Charlene, Debbie, Lincoln and Dan spoke of the Summit on Mount Washington and Ashley provided a presentation of photos.